The weather forecasters were right. Boy, have we had rain today and at times very heavy. But Curtis and I were out in it. The storm made the sea very angry. But there were some interesting greens and blues in some of those waves. Quite scary at times. Glad I was on the land and not on the sea today! We had to find place to fix Curtis' glasses as the lens fell out and we couldn't find the missing screw. Costco to the rescue. Wonderful dinner at the Monterey Whaling Station. I had bacon wrapped scallops on linguini. And we had butternut squash filled ravioli to start. One of favourite photos from today. Will post more great photos later. On Monday, Curtis left for 3 weeks of TDY to Monterey, CA. Since I had a long stretch off from working any shifts, we decided I would come out and spend a long weekend here. I left Great Falls early this morning and had 2 good flights. I flew to San Jose and rented a car. I managed to drive solo to Monterey and actually find his hotel. I had only an orange and granola bar to eat and had been up since 4:30 this morning. Can you say hungry?? So, when Curtis got back here after working- it was after 1:30. (2:30 my stomach time), we headed out to lunch. Yummy crab cake for me! Then we drove along the ocean for a bit. There's a big rain storm brewing for this weekend and there is a lot of surf prior to the storm arriving. Should make for some interesting photos this weekend. There were crazy surfer dudes out there! That's it for tonight folks- I'm beat! Trying to Get Ready for the Holidays!!!! My house is in shambles!!!! That is what happens when one must decorate for the holidays. And that is what happens when one gets canceled from work for the day. I got the Thanksgiving decor taken down and put away. I dusted all my furniture off and started with the Christmas decorations. I have to dress the big window in front before I can put up the tree. So, it is done and the tree is up and that is it!!!! Harlee will help me decorate my tree tomorrow after I pick her up from school. She needs to have an afternoon to hang out with the nana. So there are empty boxes hanging around. The step ladder is in the house. I have an empty sofa table that I need help with getting it down stairs. Planning on getting a little more done tomorrow. It doesn't all get decorated in a day around here. Pictures are from Thanksgiving. This fine feathered friend was in my backyard yesterday. He seemed to be following me around the yard as I put out bird seed. He started in the apple tree, moved to the peanut ring and then ended up on a suet block. He was so close if I put my hand out I could have touched it. Today, I was canceled from work. But that meant I could take Curtis up to the airport, as he headed off to Monterey, CA. A blast from the past, as he attended DLI back in the day. I got my floors mopped. I ran some errands. I picked the princess up from school. And the day was over far too quickly. 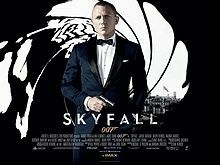 Curtis and I spent the afternoon at the movies watching the new James Bond movie - Sky Fall. Very excellent!!! It had started snowing just before we headed to the movie theater. Just enough snow that it is probably a little slippery out with the temps dropping for the evening. I came home and went out to feed the birds and take some snow photos. I go to sleep just fine, but then I wake up way too early and can't go back to sleep and that makes me exhausted come 9pm. This morning I was awake at 3:30, got up to the bathroom and went back to bed and laid there for 40min and then I had had enough and up I got. Ran a couple of errands this morning and came back and got the laundry caught. I had to iron Curtis' work shirts as he will need them when he leaves for CA on Monday. Around lunch Curtis and I headed to the river for a little walk-not too bad, but the wind sure does blow out there. We needed to get Kirsten from work this afternoon and then I made us a yummy dinner. I am sure I will be wanted to crash soon, because I am just whipped. Had some rain/snow late this afternoon and it is supposed to snow overnight. We shall see when morning arrives. Leaving you with my final photos from Yellowstone. They are so eerie with all the steam. turkey day, known as Black Friday here in the States. Lots of crazy shopping. It officially started last evening at Target and Walmart. I guess people started lining up at 4:30pm for an 9pm opening. There must have been some good deals out there somewhere, but we didn't bite. We waited until this morning and headed out with Kirsten for the 5am opening at Home Depot. Kirsten was after a $175 Christmas tree for $60. There was a line up when we got there. The employees were serving up coffee and doughnuts. People were very orderly and polite. And Kirsten got her tree. And we were out of there before 5:30, with no crazy line up at the check out. Next, we headed to Staples on the other side of town for a few goodies Curtis wanted. There was very few people there and the items we wanted were still available. Our last stop was Herbergers where we got a few door busters. Curtis got new slippers, we got next years winter coat for Nic for $17.97 and a couple of other goodies. We dropped Kirsten off home and Curtis and I headed to Denny's for breakfast. It was a gorgeous sunrise when we were driving back down the hill to home. Curtis headed back to bed and I had a relaxing bath. After lunch, Kirsten wanted to head to JoAnn fabrics, as their flannel was 75% off. She wants Cait to make her a car seat cover for the new baby. She found some cute non gender fabric and for what she needed cost her around $5. Very good deal!!!! We came back here and worked on a jigsaw puzzle for a while. Busy day!!!!! Glad it only comes once a year. Ok, ok, so I haven't posted in a couple of days. But, I have been keeping myself very busy. Curtis is on his way home from the Flathead Valley. Just in time for a lovely long weekend. Then he heads out again. This time for 3 weeks to Monterey, CA. Have been getting ready for American Turkey day tomorrow. Have done some prep work today-jello made, cranberry jelly made, pie baked and dressing is ready too. This morning I was awake and up early. In and out of the grocery before 8am. I didn't want to be there with all the crowds. I came home changed sheets and threw them in the wash. And then I headed over to Kirsten's to help her with getting grandkids rooms cleaned up. They get messed up so easily. Came home and got tomorrow's prepping done. So, now I can sit and scrap and wait for Curtis to arrive home. Yesterday, I managed to get all the little things wrapped up for the grandkids advent calendar. I needed to get this done, as I will be flying to CA to spend a few days with Curtis while he is there. That means I will be missing a few days during the holiday crunch. Good thing I was canceled from work, so this little project could be completed. On Monday, Kirsten and I hunted all over for a brown T shirt to make Harlee and Indian costume for doing Thanksgiving at school yesterday. She comes out from school on Friday and says to me, look nana, I picked an I. That means I get to be an Indian for our school Thanksgiving. So, we had to use a yellow T shirt. I sewed some fringe on the bottom and Kirsten slit the sleeves and put beads on. I made her a feather headband. Thanks for the feather, Auntie Cait and the beads too. Anyway, she went to school with the best Indian dress ever. After we get it all done, she informs us, I made one at school out of a paper bag. You must be kidding!!!!! In the meantime, I have been working on my Dec. memory book too. It is a work in progress. I will show you the bare bones and some of what I have completed. I had heard stories from others about this, especially the night shift gals. But yesterday, I actually experienced it myself. I have had occasions where the motion detection sinks won't turn off. But this was beyond weird!!!!! Let me know what you think!!! After thinking I was just on call yesterday morning, I got a call from work about 5:40am that they needed me. So I was there in about an hour. Our house cleaner was in my room emptying the trash. And the call light went off in that room. She hadn't touched a thing. There were 2 outlets, side by side for the call lights. The call light cord was in slot one, and it was slot 2 that was going off. There was NO call light cord in this outlet!!!!! And when I hit the cancel button, it would not go off. So then I took the call light cord and switched it from slot 1 to slot 2 and it finally went off. Later in the day, I went to take a baby's temperature. We always take temps in Fahrenheit, but now the thermometer was set in Celsius. This all was just a little too weird for me!!!! And this is one of the rooms that they have had issues with in the past! I will leave you with a photo from Yellowstone from the morning we got up for the sunrise. When it finally got light we were with hundreds of bison. It was frosty and you could hear the bison all snorting. It was very cool. I am scheduled to work today, but not enough babies and too many nurses. But my phone rand at 5:10 and they needed me to go in, as they couldn't get in touch with the nurse that was on first call. So up I got and was actually at work before 6am. About 6:30 the other nurse showed up. I guess she is having cell phone issues. Can call out, but can't receive calls. Interesting!!! Not a good thing when one is on call for the NICU. Came back home around 7am. So I am up and going. Still dark when I went to work and still dark when I came home. No big plans for today, as I was scheduled to work. Had Harlee here after school yesterday and just chilled together. Will share a couple of layouts I have finished just to let you know I am still scrapbooking. We experienced sunset in Yellowstone when we were there. And I want to share it on my blog. Have had a couple of busy days. Visited my friendly dermatologist yesterday. I am sure I have helped put his sons through college and helped with his recent visit to Sweden. I got spruced up with a haircut. Then I ran into Kirsten at Target and I did some major Christmas shopping for the grandkids. I wanted to get their things before everything got picked over with Thanksgiving weekend shopping. Although I don't have any photos during the storm- I took some snapshots of the after the storm. This Sunday after, the sky is blue and you would never believe there is a blizzard warning out there. But the temperature is brutally cold with a bitter wind, causing blowing and drifting. This is the view out my back door and shows how much snow we had-over 15 inches. Bought a new bird feeder that completely collapses down and I don't think the squirrels can chew through it, since it is metal and not plastic. Icicles out my front door. The squirrels and birds are happy I am feeding them! Canceled from work this morning. Unfortunately I am up, showered and dressed and won't be going back to bed. I am up, showered, dressed and ready to head out the door.